From the founding of the People’s Republic of China in 1949 to the onset of the Cultural Revolution in 1966 (the so-called “Seventeen Years”), an astounding number of 120 opera films were produced. Many of these films were made by leading directors and were genuinely popular among viewers of the time. Their soundtracks were broadcast on radio and issued as phonograph records. They were learnt by heart and sung by generations of spectators-listeners, thus becoming an integral part of the soundscape as well as visual culture of the Maoist era. Although many of these films can be considered important works in their own right, they have received scant attention from scholars of Chinese cinema or opera. Studies of Chinese cinema of the 1920s and 1930s often emphasize the links between cinema and theatre, but such symbiosis and tensions are largely ignored in studies of PRC film. 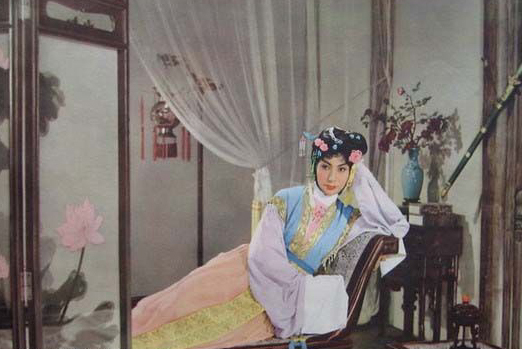 The Chinese opera films produced during the “Seventeen Years” are important precursors to the “model opera” works of the Cultural Revolution. The latter have been much studied but have often been treated as aberrant phenomena unrelated to previous developments in Chinese film and opera. One of the aims of our symposium is to rethink the relationship between these two kinds of opera films, and to challenge the perception of cultural production in the socialist period as solely driven by political campaigns. An examination of Chinese opera film will allow us to rethink the cinematic production of the twentieth century in a historical and comparative perspective; to discuss how the filmic medium brought a variety of regional opera traditions to a national audience; and to discover which aspects of the Chinese cultural heritage were promoted to entertain and educate the citizens of the newly founded PRC. The program of the symposium consists of thirteen papers delivered by faculty, graduate students, and visiting scholars at the University of Chicago and from various other US and European institutions. In keeping with our interdisciplinary aims, papers will be divided into thematic panels and will be followed by discussants’ comments which will relate them to their own areas of expertise and open up the discussion to broad transregional comparisons. Topics to be explored include the aesthetics of Chinese opera film with particular attention to the rendition of magic and supernatural events; the tensions between stage and cinematic performance; music and voice; the politics of adaptations and remakes; viewing and listening practices; the relationship between opera film, painting, and printed media; and the mutual contamination between acting and staging techniques in cinematic and operatic traditions.